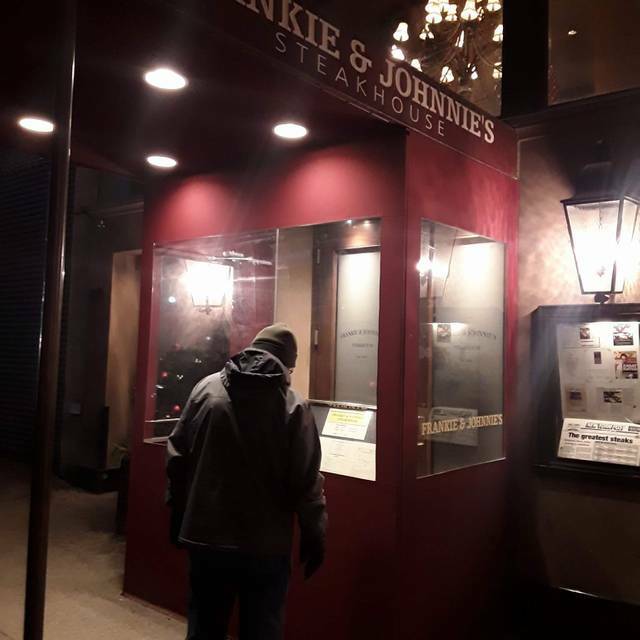 Established 1926 Frankie and Johnnie's Steakhouse is located in the former townhouse of John Barrymore. Frankie and Johnnie's Steakhouse has a look that is sleek and uncluttered, with a warmth that is inviting to all its guests. The menu is distinguished with its exceptional quality of USDA certified prime dry-aged beef and a secret blend of spices that season every steak before it hits the grill. The dinner was very good a super steak for us and the burgers for the children. The check was not so good but we are in US it is quite a normal way, around 75$ each for one main course. Wonderful dinner experience from the service to the food. Overall a great dining experience! Food was top notch and staff were nothing short of professional. A bit pricey but locally comparable, however, well worth the money. Would have liked to see a stricter dress code policy enforced at 7:00 on a Saturday night. I understand formal dress is a thing of the past but a restaurant of this caliber should require at least business casual. 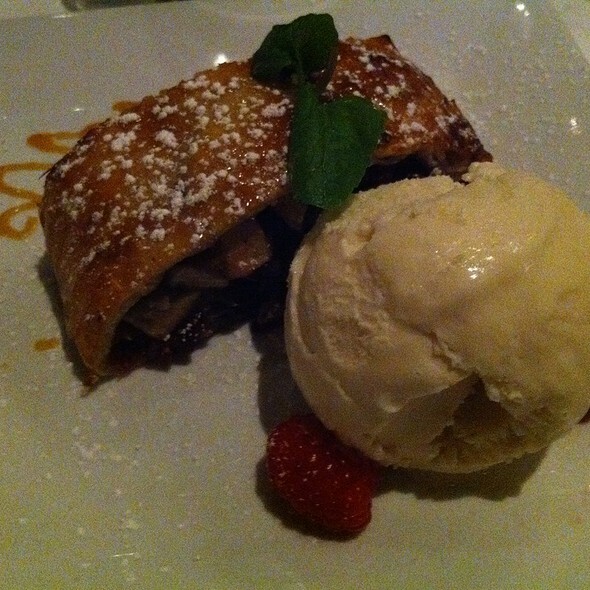 Our food was wonderful and we had great service. Great meal before the theatre. Birthday dinner at Frankie and Johnnie's Steakhouse. Great clams casino to start and excellent ribeye steak. We came here for our anniversary and absolutely loved it. The food was amazing and the steak was cooked perfectly. Enjoyed a fabulous meal with excellent service. Steaks were cooked to perfection and delightfully tasty. 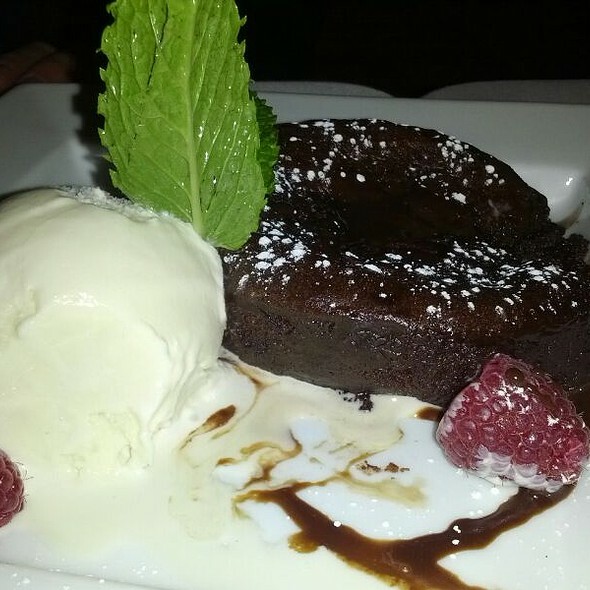 The chocolate cake was heavenly and the wait staff was attentive and professional. Would definitely visit this restaurant again. We dine here about once a year. This visit my date had clams casino to start and sea bass. She enjoyed both thoroughly. I had Caesar salad and a strip steak. Quite frankly, there is nothing special (or wrong) with the caesar salad here; however, the steak was perfectly prepared as was our asparagus side with hollandaise. The wine program here is really good . . . not overwhelming, just plenty of great options including both large format and half bottles. Dessert and after dinner drinks were a highlight. 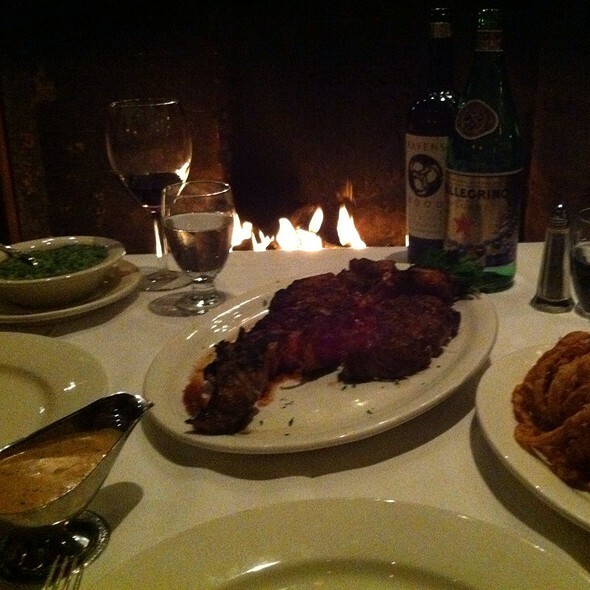 Classic steakhouse with cozy imyou are in your own world. The steaks were millisecond perfect. Potatoes were ordinary but fine and the creamer spinach was good too if a little lacking in flavour but fresh spinach. 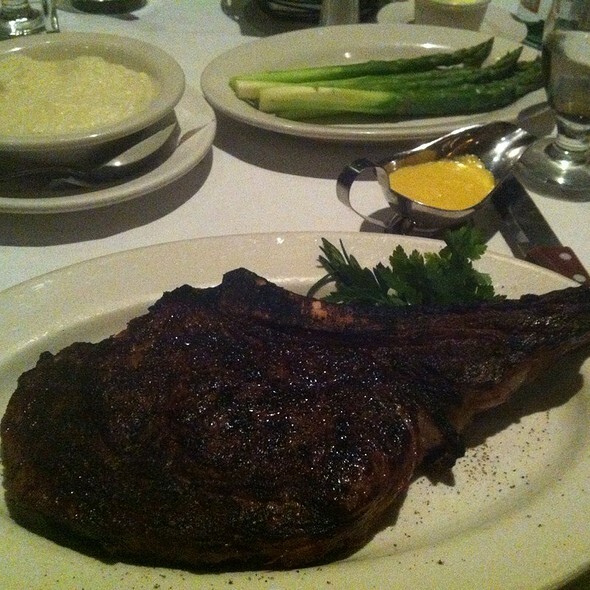 A must go to the tomahawk rib eye was amazing!! Service atmosphere was fantastic!! Been to many steak houses in New York this is one of the best. Danny from Jersey via Romania was great. Made 4 Texans feel right at home eating steak in the Big Apple. Great atomsphere. Loved the fried onions! The waiter was borderline rude. The food was good, but not worth the price. To start..this place is awesome! My wife and I were in town to see Elton John and stayed across the street from Frankie & Johnnie's. The service by Spiro and a gentleman who filled in for him for a bit (Didn't get his name but he told us he was originally form Mexico) was superb. They were charming and conversational without interfering. Truly added to our enjoyment. The drinks were delicious. Then, the food started to come. Wow! Oysters Rockefeller were the best I have ever had and I live by the ocean and order them often. Crab cake was uniquely prepared and off the charts delicious. We had to alter our reservation and were accommodated fully. The steaks were tender and flavorful and the broccoli was outstanding. The wine and dessert were outstanding as well. A great time made even better by the accommodating wait staff. The food was excellent, service was too. Atmosphere upstairs was calm and quiet, which we needed from being out and about. Stopped at the bar on Monday February 18th. Spiero (spelling ?) was bartending. Well suffice it to say my friend and I had a wonderful time and lunch. Spiero was awesome. We had such a good time, we decided to make dinner reservations and brought the rest of our group with us on Friday the 22nd. Again, we had an amazing time and meal! Spiero was outstanding. Our group of 4 gals, meet every year, the same week, (President’s Week) for our “Annual Broadway Week”. Classic steakhouse with more relaxed bar downstairs. Everything overall was excellent, steak was a little underwhelming, but besides that apps, sides, and dessert was wonderful. We celebrated my son’s 26th birthday. Everything was amazing! It was a little too hot sitting near the fireplace. We were seated right away in a very comfortable booth. The food was delicious , everything was amazing! The service was excellent as well. Would highly recommend. Great ambiance, excellent food, excellent service. The service and food were both good, the ambiance was wonderfully historic. Sal was spot on, kind & professional. This was the first time we ate at this steak house as we typically do not go to steak houses because I am not a steak eater but my wife is. 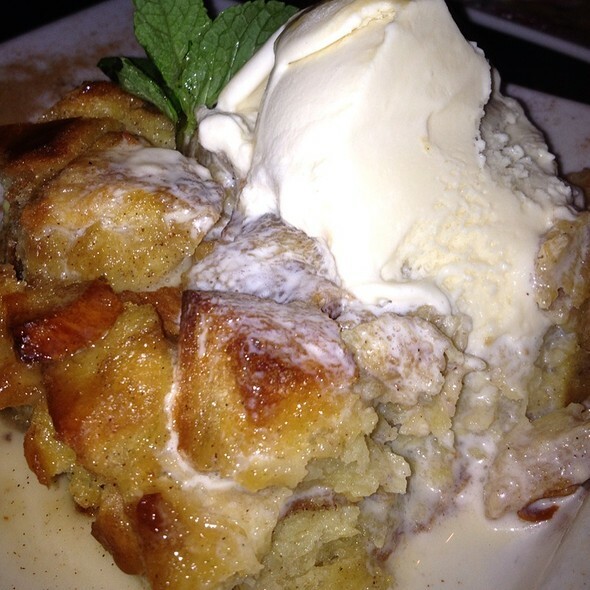 We found the atmosphere very cozy and comfortable, the service excellent and the food outstanding. 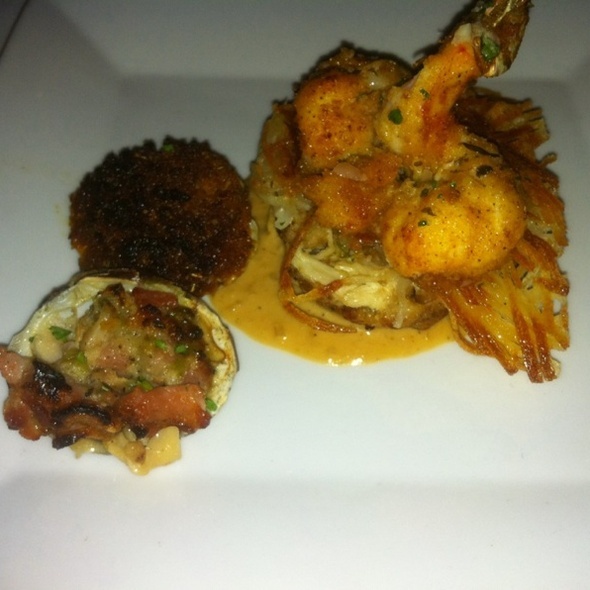 We started with an seafood appetizer for two consisting of shrimp scampi, crab cakes and clams casino. It was very flavorful and delicious. I had the Chilean Sea Bass which was also delicious prepared simply and in a wonderful sauce. My wife had her favorite, a rib eye steak which she said was amazing and cooked to perfection. Overall an excellent e perience. Went for Winter Restaurant Week with my girlfriend for dinner. We had the crabcakes as a starter and it was ok at best. We both ordered the Surf and Turf and the steak came out perfect. The shrimp was amazing, as well as the side of broccoli we ordered. For dessert, I had the Key Lime Pie and my girlfriend had the Gelato. Both were really good. I was pleased overall with my experience. We plan on coming back soon. Fantastic Friday night in NYC! We started with a fabulous bottle of King Estate Willamette Valley pinot noir. My crab cake appetizer w/ potato crust was amazing! My wife’s salad was fresh and crisp. 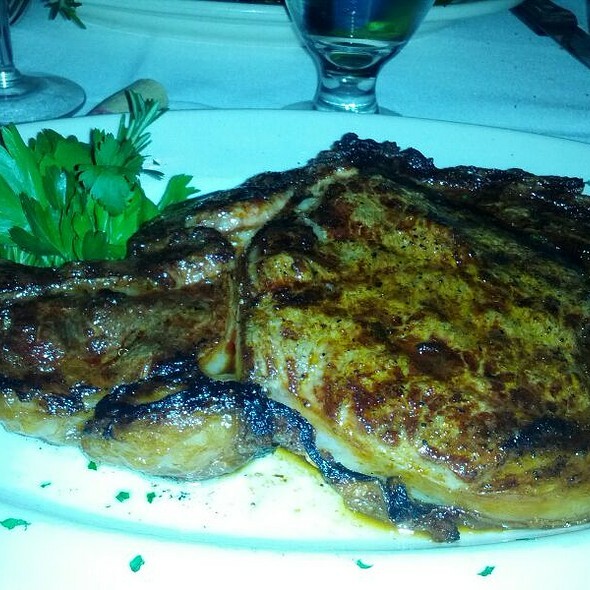 The porterhouse steak for 2 was cooked to perfection and flavorful. Sides of lyonnaise potatoes and mushrooms were delicious. Awesome service from the very personable Spiro! Had a wonderful meal!! 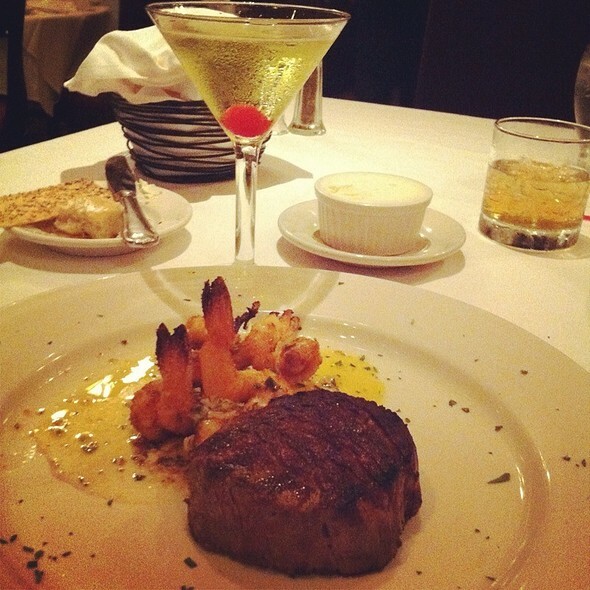 Everything was done perfectly - the steak practically melted in your mouth! Service was outstanding. A bit pricy but it was well worth it!! So sorry to this lovely steakhouse but the steak medallion you served for restaurant would prevent me from ever recommending it to anyone. The mashed potatoes was also not tasty. Wait staff was very attentive and nice though!